For the last month, I’ve been answering the grooming Q&As of men across the globe for Men’s Health Magazine’s micrrosite, awardwinnersplaybook.com. It’s been fun learning about the grooming issues that leave men scratching their heads. 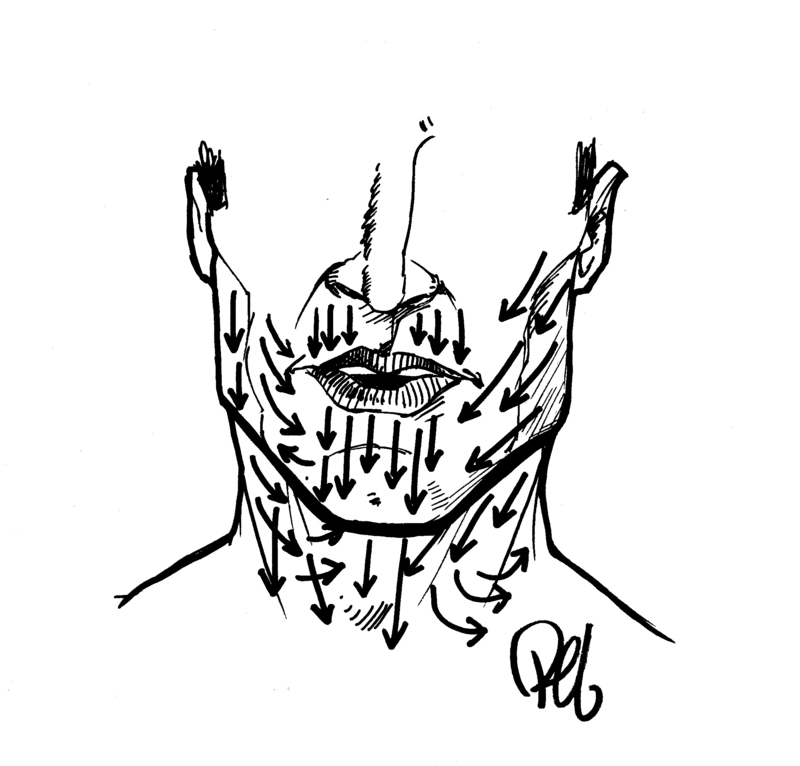 A fair amount of the questions that have come in so far have been related to shaving in some form or another. How do you figure out what direction the hair on your face grows, what’s the best after shave routine, or is it true that letting shave cream sit on your face is a good thing, are just a few of the questions I’ve fielded. A common theme that’s developed in my responses is what I call the 3 P’s of wetshaving: patience, preparation and practice. Many of the issues we suffer from while shaving can be prevented if we adhered to the 3 P’s. That’s not to dismiss severe cases of anything that plagues us. In those instances, a dermatologist should be consulted. But if you’re patient, and your preparation is thorough, with practice, your technique should result in irritation free shaving. Another thing I stress is paying attention. There are no quick fixes and with that, we must keep an eye on what’s happening to our skin. Case in point – I realized that shaving everyday and shaving with the grain is key in my defense against ingrown hairs. That may or may not work for you but keeping a watchful eye while exhibiting some patience and with some practice, you’ll find your solution. If you have a chance, pop over to awardwinnersplaybook.com and tap on the “ask an expert” tab and see if anything already answered will put you on your path to solving your grooming issues. This entry was posted in Grooming and tagged Men's grooming, Men's Health Magazine, skincare, wetshaving. Bookmark the permalink.